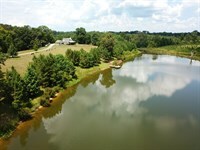 1009 acres +/- of land for sale along the Cahaba River in Perry County, Alabama. Opportunities to own large timberland properties in a contiguous piece along the Cahaba River are very rare. This property has been in the same family for almost 100 years, and has not been on the market for generations. 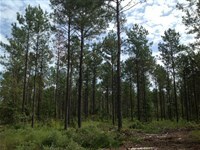 The timber on the property has been managed, much of it is pine plantation of varying ages, almost all of which has had a first thinning. There are large creek drains with hardwoods. The terrain is mostly flat to gently rolling. The property has about 6800' of frontage along the west bank of the Cahaba River. The majority of the river front is high bank. The Cahaba River offers opportunities to fish, canoe or kayak, or enjoy time in the boat. 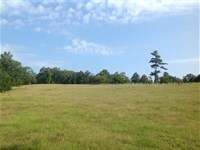 This is a fantastic property for hunting and recreation. It would be a great candidate for a pay-to-hunt operation or a high fence property. Pink Wilson Road divides the property into approximately 563 acres on the west side of the road and 445 acres +/- along the east side of the road. There is a large gas line that runs through the property. 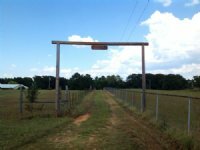 There are several access points from the road onto the property, and a good internal road and trail system runs throughout. 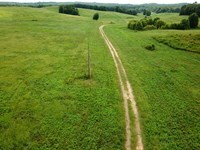 There are numerous food plots and hunting stand locations. 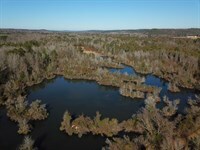 The property offers a good bit of habitat diversity with some areas of thick cedar cover, thinned loblolly pine plantation, and the hardwoods along the creek drains. 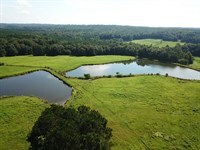 The land is very near to some large row crop farmers, which is what made this part of Alabama's Black Belt famous for growing trophy whitetail deer. An old camp house is on the property, that has been used by the hunting club. Electricity and a water well service the camp house. 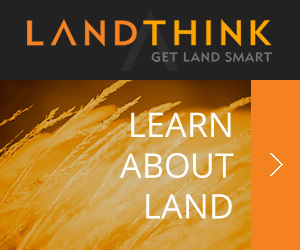 This land is a large block, in an area where many of the surrounding owners have very large land holdings. Being surrounded by large neighbors makes managing your deer herd much easier. This area is loaded with deer and turkeys, and there is an opportunity to have a few ducks also in the deep channels on the east side of the property. Some areas of the planted pines would make a fantastic quail course. Approximately 266 acres are currently in the Conservation Reserve Program (Crp), which generates approximately $10,000 per year. About 15 acres of that CRP plan is for food plots and about 251 acres of that is in pine plantation. This CRP contract is assignable to the new owner, and began circa 2012. Showings of this property are strictly by appointment only please. Please contact Jonathan Goode to schedule your visit to this great property. This property is a convenient drive from Birmingham, Tuscaloosa, and Montgomery. The property is approximately 80 miles to Birmingham, 70 miles to Tuscaloosa, 65 miles to Montgomery, 160 miles to Mobile, 190 miles to Pensacola, Florida, and 100 miles from Meridian, Mississippi. Marion is the closest town, and it has a grocery store, hardware store, and restaurants. 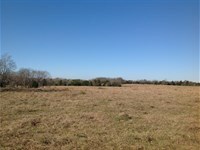 Selma is approximately 15 minutes southeast with Wal-Mart, hospital, and farmers co-op and more amenities. 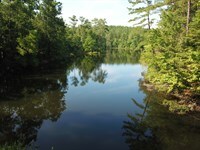 When calling agent, please say, "I found your listing 1009 Acres On Cahaba River on FARMFLIP."